There are a variety of different bridges. Consulting with our dentist is necessary for deciding which option fits your particular circumstance. 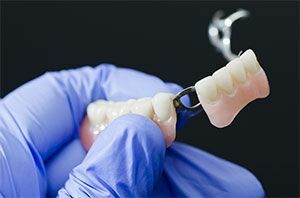 The most commonly used dental bridge is the porcelain fixed bridge because it resembles your natural teeth. This type of bridge consists of two different crowns that are placed on two anchoring teeth (abutment teeth). The crowns are attached to the pontics (artificial teeth), that fill the gap created by one or more missing teeth. ​​​​​​​Bridges are made durable and strong. They are expected to last many years and provide you with a complete and functioning mouth and smile. Feel free to contact Haws Family Dentistry today to learn more and to schedule your next visit.